Home to Colorado’s beloved year round resort area, Aspen is a favorite among our clients. Many come for the winter and stay for the summer, after their near perfect visit to this nearby mountain town of 8,000 ft. Allow Desert Jet to whisk you away to the mountainous village of Aspen. Your flight will take you directly into Aspen–Pitkin County Airport (IATA: ASE, ICAO: KASE). 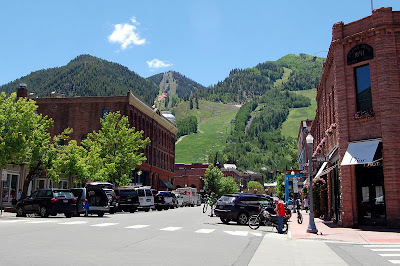 There is no lack of things to do in downtown Aspen. With trendy outlets and local boutiques the avid shopper will be in heaven. You will also find yourself surrounded by an abundance of restaurants and bars, with menus to suit everyone’s tastes. Among the most popular ski destinations in the West, Aspen and its sister town Snowmass service four major ski areas, with something different to offer. Conveniently located in the center of town is a full service gondola to transport you to the mountain of your choice. Snowmass is considered most family friendly, while Buttermilk is deemed as the beginner’s mountain with easier terrain and a highly rated ski school onsite. While it may seem like it, winter activities in Aspen are not limited to just skiing and snowboarding. Visit the local ice skating rink or try the Nordic ski trails. In the summer Aspen becomes a playground of activities. Hiking, rafting, and fishing just to name a few. Looking to work on your short game? Get into Aspen’s Swing. There is nothing quite like seeing your ball soar past the dramatic mountain landscapes. Aspen is home to several superb public courses. You have to try the Aspen Golf Club, Snowmass Club, and Iron Bridge Golf Club. Ready for a mountainous adventure? Fly to Aspen today on one of Desert Jet’s very own private jets. To schedule your next jet charter contact us at 760-399-1000 or charter@desertjet.com, where a charter specialist will be happy to arrange all your travel accommodations.